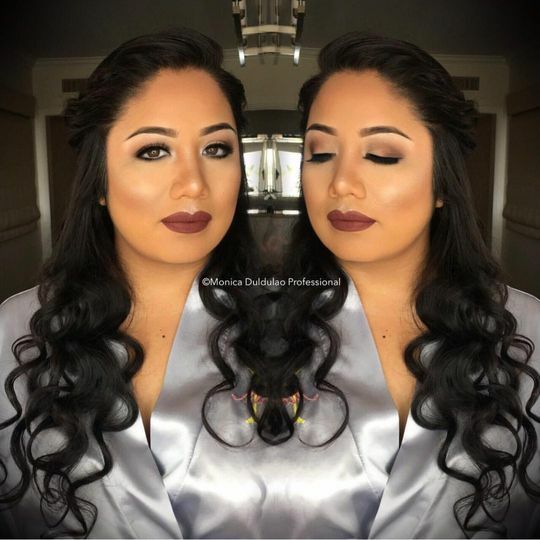 Monica Duldulao Professional is a wedding hair stylist and makeup artist team in West Covina, California. 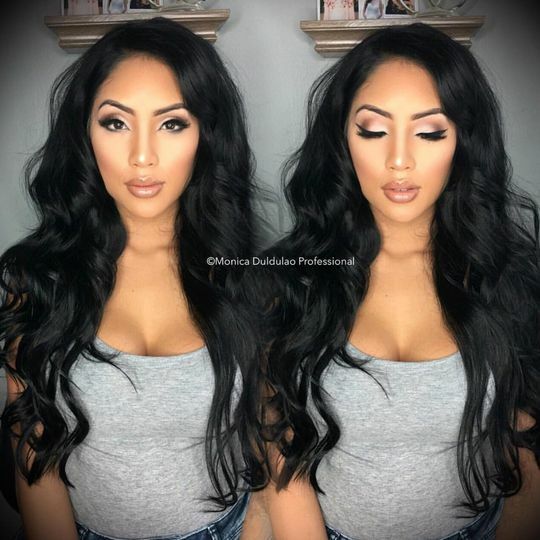 They feel their role is to enhance your existing beauty — and they do just that through offering quality service at an affordable cost. 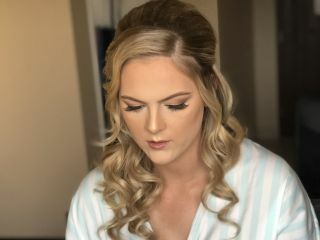 As a one-stop shop for your wedding cosmetic needs, this beauty team is skilled at offering a variety of different looks to match your wedding style. 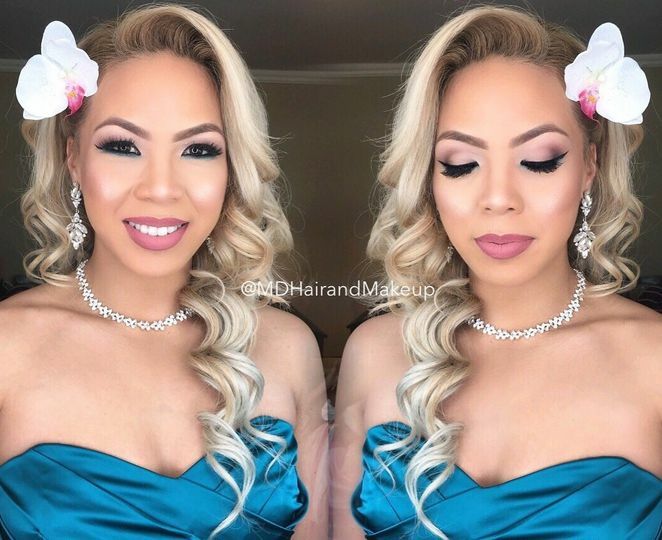 Monica Duldulao Professional will make your wedding party shine, too, and they can do it all on location wherever you are. I have no words to express how grateful and happy I am with Monica's work. 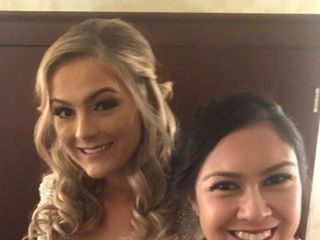 She and her team did my, my mom's, my mother in law and my bridesmaids make up and hair, and we all looked gorgeous. What I love most about Monica is that she works according your face, your hair and your style. We all had different looks, each helped our best features stand. Besides her talent, what I appreciate the most about her is how patient, kind and amazing person Monica is, she the sweetest person I've ever worked with. 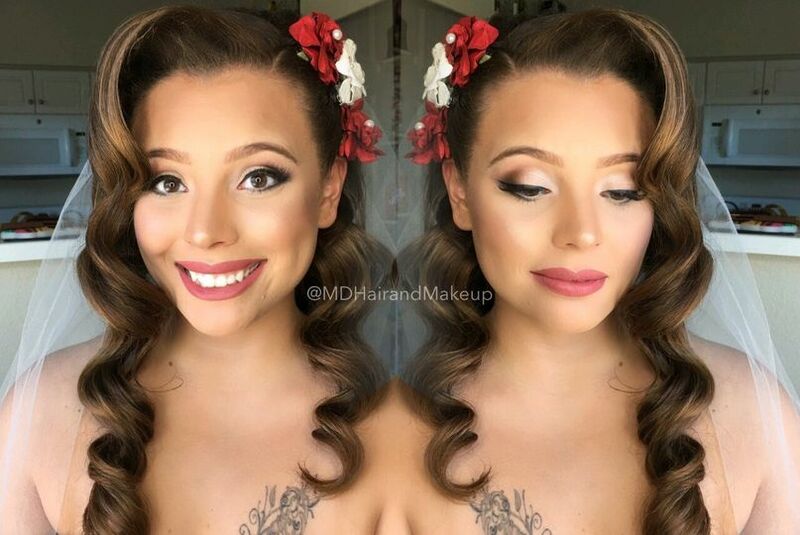 I recommend her 100% not only for weddings but for every special occasion, she is THE BEST! Before I even got engaged I knew I wanted to have Monica as my stylist for my wedding and I couldn't be happier with the results! 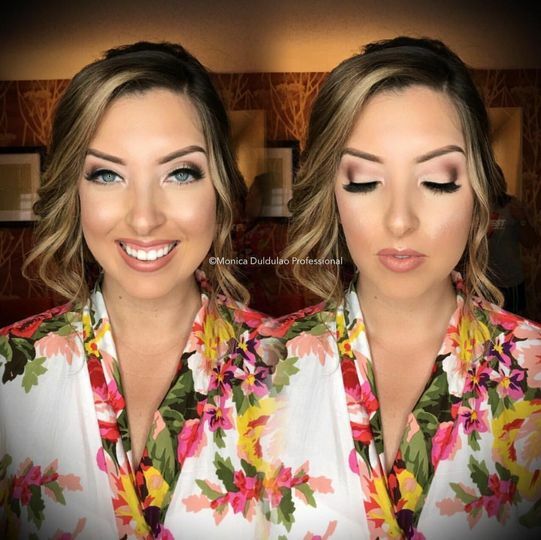 I LOVED my hair and makeup on my wedding day and the looks for the other girls in my wedding! 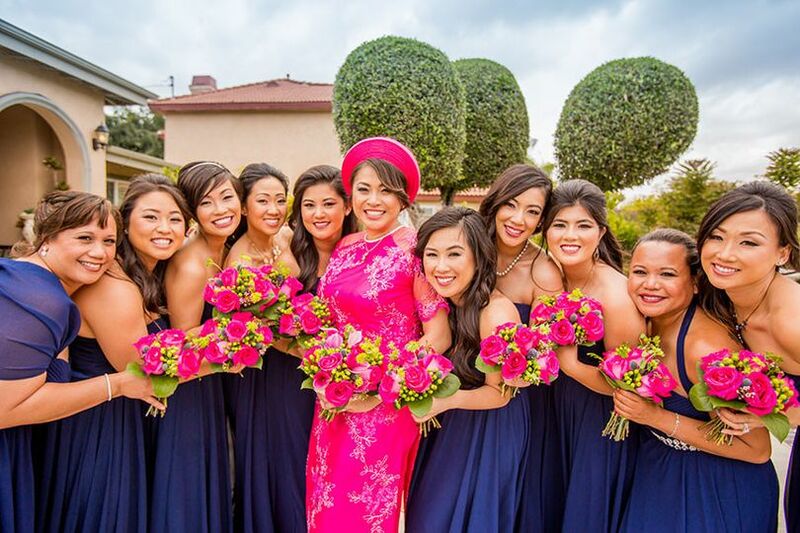 When my mom re-married in 2014, Monica single handedly made us all look absolutely stunning! 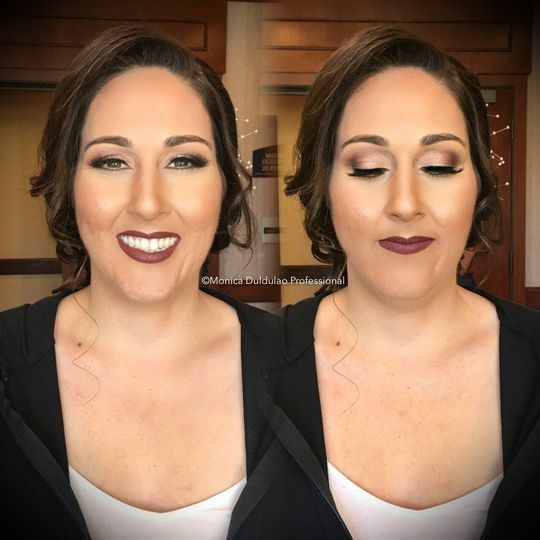 She and her team are great at what they do because not only will you obviosuly look gorgeous, but they take the time to hear what your vision is and offer their insight as well. Monica has such a fun bubbly personality and is truly passionate about what she does, you can't help but feel comfortable around her! I HIGHLY recommend her for any occasion!! My mom is still one of her lash clients 😉 Thank you Monica and your team for not only making my moms day special 4 years ago but mine as well! You truly are THE BEST! I am so glad I went with Monica for my beauty needs. During my trial I showed her pictures I liked and she did exactly like the photos. Came out beautifully. But throughout the day wearing I decided I wanted to make some changes. 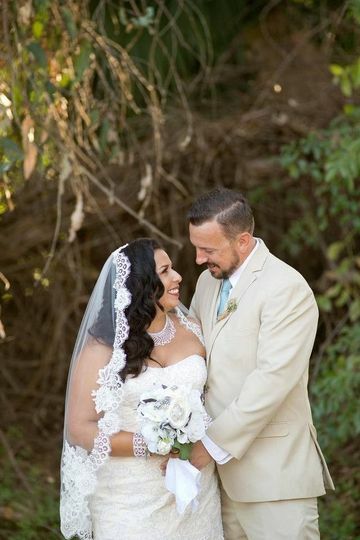 The day of I told her what I wanted to change and she did it gladly, came out perfect. My hair and make up stayed all day I didn’t even have to retouch. I have never felt so pretty! Awesome hair artist. 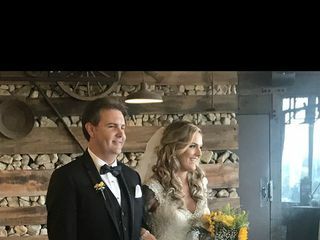 Very nice to work with and made my bride very happy.